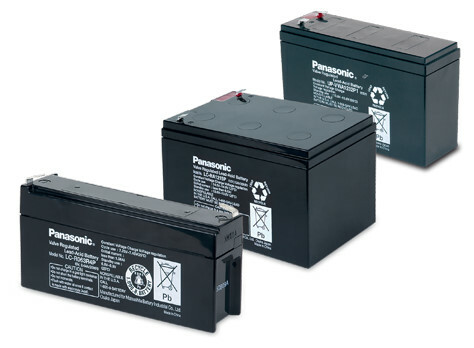 The Panasonic LC series is a comprehensive range of high quality VRLA batteries serving the majority of VRLA battery applications. 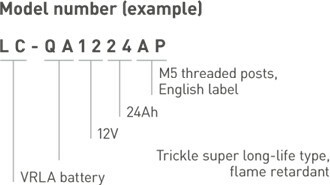 From batteries with a trickle design life of 6-9 years and 10-12 years to batteries of 15 years, the series includes solutions for every requirement. 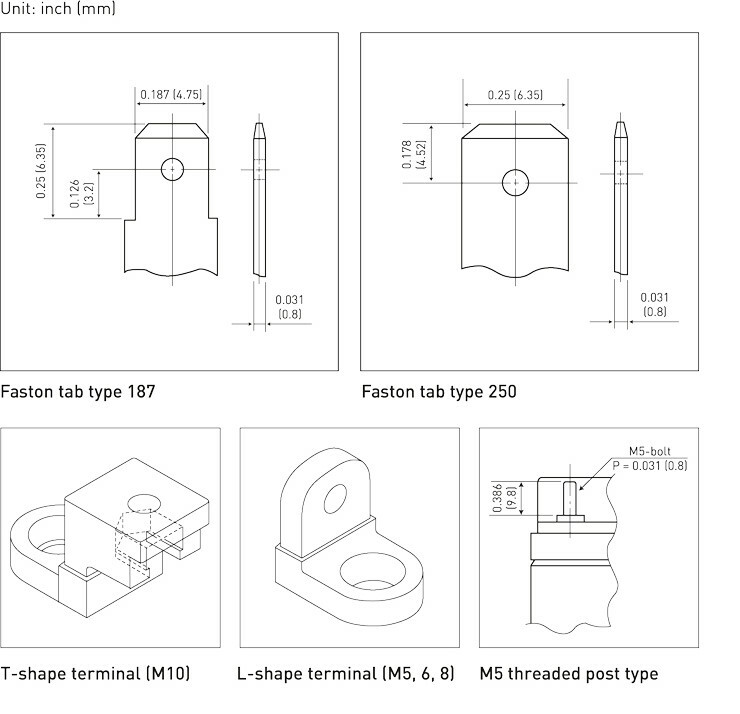 Various models are obtainable with flame retardant housing and with different terminals. 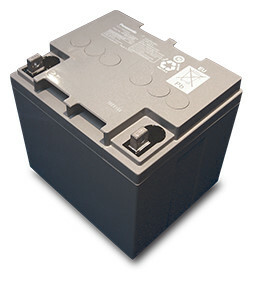 The batteries LC-P1215BP and LC-P12200BP are equipped with insert terminals. 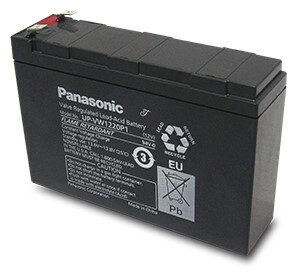 The battery LC-P12200BP is equipped with insert terminals. 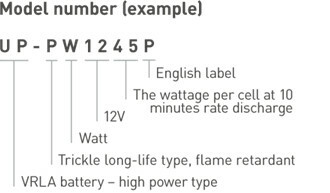 The Panasonic LC cyclic series is a main power source for electrical devices which require reliablem power frequently. Based on our proven technology for stand-by and occasional back-up, this series uses different plate design and other tweaks to achieve long cycle life. 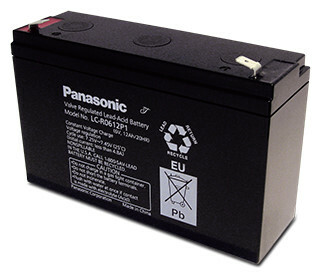 The hallmarks of the Panasonic LC-QA battery series are a very long service life of 15 years (at 20°C) and excellent product quality. 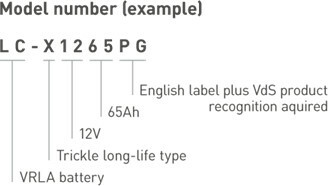 The latest LC-QA models are the result of a research programme to prolong the service life of lead-acid batteries, which Panasonic started back in 1984. 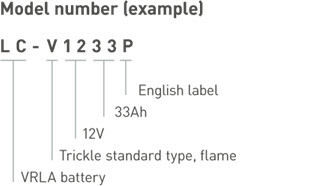 The Panasonic UP-VW / -PW series offers up to 30% higher energy density compared to conventional VRLA batteries with the same dimensions. The series is ideal for UPS systems which require a short discharge time of about 30 minutes or less. 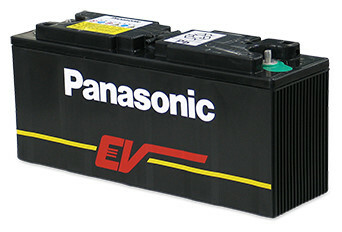 The Panasonic EV series is designed specifically for electric vehicles and long-term cyclic applications. 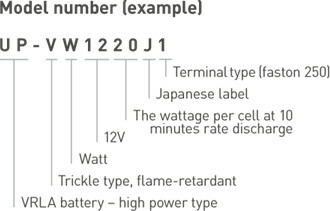 In both cases, the high cycle stability is a particular highlight, achieved in a recommended 5-step charging procedure. 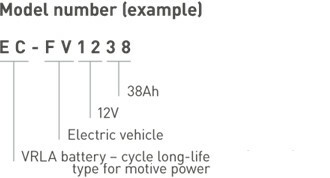 The illustration shows only one example of a VRLA battery structure. 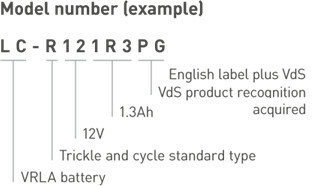 Panasonic offers the appropriate terminal type for each VRLA battery depending on the technical prerequisites. 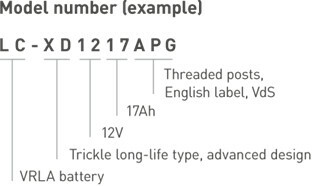 Additionally, some battery types are available with different terminal alternatives.